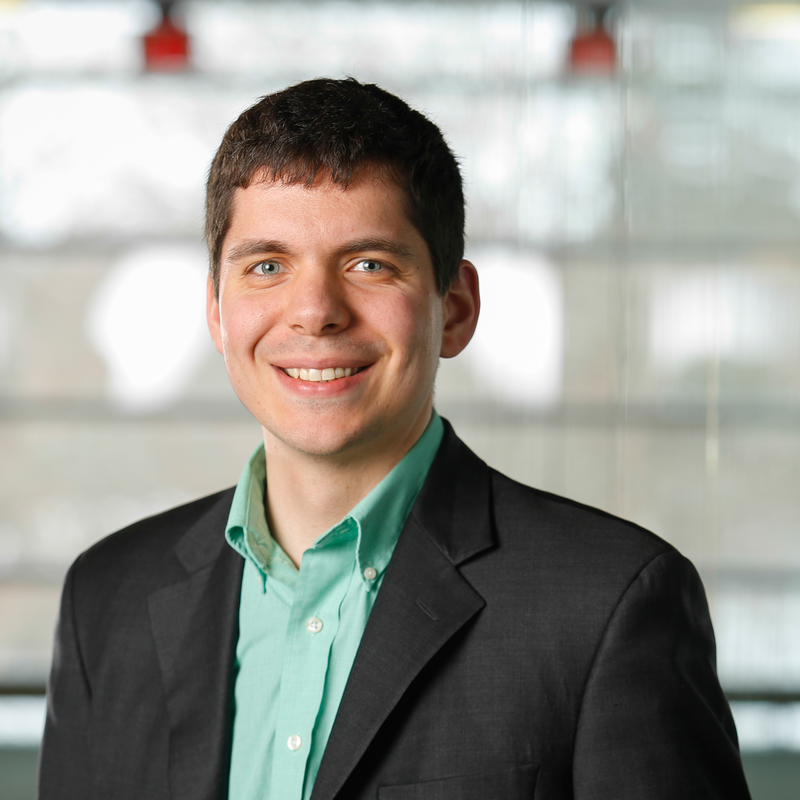 Roberts combines all of these credits—from classroom and non-classroom sources—and applies them toward the completion of a bachelor’s degree within an academic discipline, like business, criminal justice, health administration, nursing, and education. Completing a traditional bachelor’s degree (not degree-completion) as a working adult might require 3 to 12 years in school and cost upwards of $50,000 or more1. A Federal study found that nearly 40% of students enrolling in another college to complete a degree received no transfer credit for previous college experiences. At Roberts you can transform your life in as few as 15 months for less than $25,000 (cost of books is included), and we accept most past college credits with a grade of C- and above! Earning a bachelor’s degree from Roberts requires 124 college credits. 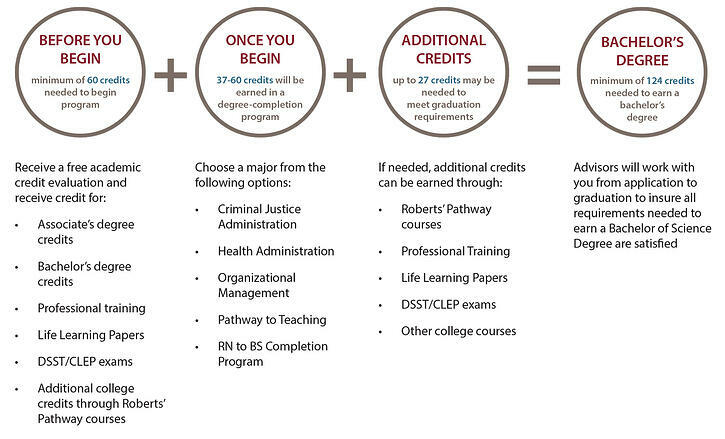 To enter Roberts’ degree-completion program, new students need a minimum of 60 college credits. Where do the 60 credits needed to start come from? College credits previously earned at other colleges, which are then transferred into Roberts’ degree-completion program. Most grades of C- or higher will transfer, regardless of how old they are. Additional credits awarded or earned through Prior Learning Assessment and/or Credit for Life experience. You can earn additional credits through the Pathway Program: 5-8 week courses that meet one night per week or on Saturdays. Some courses are available online. Once you have those credits to begin, you are admitted into Roberts as a “junior” within your desired major, which enables you to be eligible for aid and grants that may pay for some, most, or all of your degree program, depending on your financial status and need. 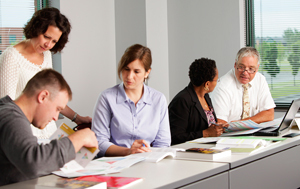 As an innovator in degree-completion since 1986, Roberts Wesleyan College provides an efficient pathway to finish your degree, and a supportive environment where adult learners work with and learn from experienced faculty and peers. At Roberts, adult learners thrive academically despite the challenges they face while going back to college to complete a degree amidst a busy life—our experience and encouragement pave the way for your success.